A North Florida woman, Rachel Jollimore, was a passenger in a Yamaha Rhino all terrain vehicle (“ATV”) when the driver attempted to complete a turn when driving off road. Tragically, the Rhino rolled onto the passenger side and pinned Ms. Jollimore under the ATV. As a result, she suffered a brain injury and she has a permanent shunt implanted in her brain to allow fluid to drain. Jollimore’s lawsuit alleges that the Rhino is too narrow, which makes it susceptible to tipping. The Rhino has been popular, in part, for this very reason. The Rhino’s narrow width allows it to be carried in the bed of a standard pickup truck. These types of product liability cases are known as “design defect” cases, in that the plaintiff alleges that the product was improperly engineered. Product Liability cases such as this are expert intensive. The plaintiff will hire one or more engineers to examine the Rhino and testify about complex engineering issues, such as center of gravity, the steepness of the terrain at issue, the cause of the rollover at issue, the existence of other available, safer designs. Yamaha will probably raise defenses including the fault on the part of the driver and the failure to follow safety procedures for the ATV. Nationally, there have been numerous lawsuits against Yamaha for rollover accidents involving Rhino ATVs. 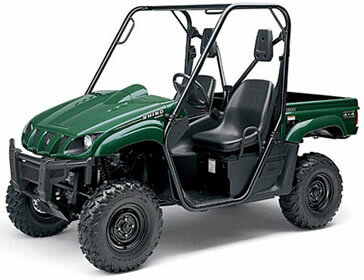 The U.S. Consumer Product Safety Commission (the “USCPSC”) is investigating the safety of ATVs. According to the USCPSC, each year more than seven hundred deaths and 135,000 injuries result from ATV accidents. Alarmingly, more than one-third of these accidents cause injuries to children under the age of sixteen. If you are injured by reason of a defective product, please feel to contact one of our Jacksonville injury attorneys.